Innovation of Mackinaw Mill Creek Camping, working towards "going green" with a more carbon neutral and ecological footprint. Established by Richard and Rose Rogala, and currently operated by sons, Frank, Chris, Vince and Edward Rogala, Mackinaw Mill Creek Camping, situated in a spectacular natural setting, is one of the few remaining family campgrounds still in operation. Recipient of many awards (including the Keep Michigan Beautiful Award), the campground is located on 1 mile of shoreline viewing the Straits of Mackinac, Mackinac Island, and the Mackinac Bridge. Private campgrounds pay every tax other businesses pay (unlike federal and state parks, who pay no taxes). So that thousands of families each year may continue to enjoy its beautiful grounds, the Rogala Brothers are using innovation and high technology to help keep the campground viable. One of the first campgrounds in the state of Michigan to have its own online reservation system, our campground now boasts a new high speed Wi-Fi system. Visit our page about our new campground Wi-Fi for more details. Currently the campground's innovations include the processing of wastewater, the construction of new buildings and proactively screening incoming campers to check for firewood to mitigate the multiple threats to the campground's many species of trees. Reduce - We are using less energy and fewer resources by producing less waste and finding unique ways of lowering our dependency on electricity. Recycle - We recycle what we can, to limit how much waste we create. This includes our own innovation for upcycling propane tanks into fire rings. Earth tube cooling uses the natural stable temperature of earth soil, in our case just 5 or 6 feet below the surface, to heat a building when cold and to cool it when hot. We are testing "thermal chimney's" in one of our off site buildings that uses the cool underground temperatures to cool the building. Read more about our Earth Tube Heating and Cooling designs. How many things can you do in a campground that could have a global reach? Created to address the need for dignified and humane housing for victims of disasters and the homeless, this temporary (originally) cardboard enclosure is treated to last approximately 5 years. It is designed to be insulated, fire resistant and to pass natural light to the inside. Inventor Sanford Potter saw the plight of the homeless living in cardboard boxes. His epiphany was "if we live in an age where people have to live in cardboard boxes - can't we build a better cardboard box?" In the summer of 2005, Mackinaw Mill Creek Camping was accepted as a beta testing partner by Icosa Village to test the Icopod in Northern Michigan. The initial cardboard version did not like the humidity of our climate. Redesigned using a UV resistant plastic, in 2006 we received this more humidity-resistant model of the Icopod. When we didn't think the new 2006 version would last any longer, it was relocated to a neighboring property where it had a second life as a summer bedroom for one of the camp owner's children. It is still in use today! A third icopod has been installed and can be rented by guests of Mackinaw Mill Creek Camping. We have been contacted by CNN and FEMA regarding the Icopod. We have spoken to members of the armed forces who were interested in it as a more comfortable option than a standard military tent. Doctors Without Borders stayed in an Icopod in the mountains of Pakistan when they were forced to endure winter temperatures as low as 40 degrees below zero. Make sure to reserve it early, there's only one! For details, check out our Icopod Rental page. Read more about the testing of the Icopod by campers: Mackinaw Mill Creek Camping Tests Icopod. See a slideshow of the Icopod Assembly here at the camp. 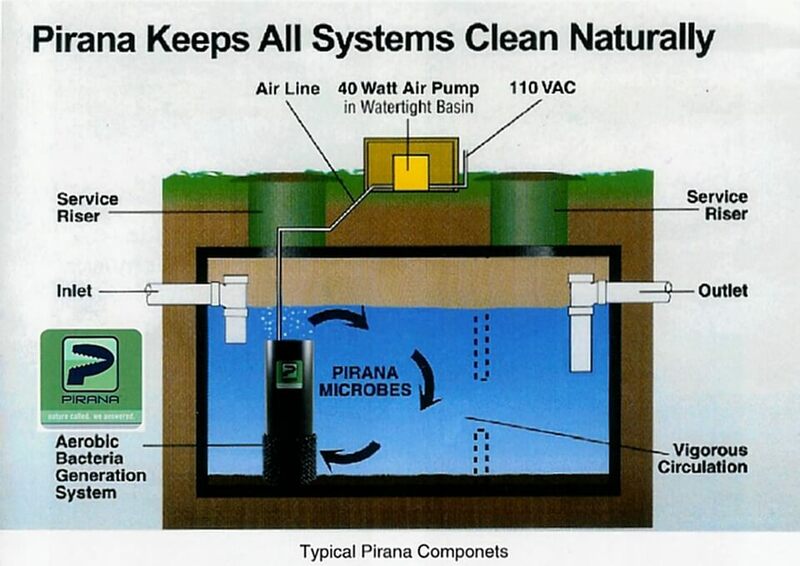 We are pioneering for use, the Pirana™ Waste Water Processing Systems in the state of Michigan (and on the Great Lakes). Our installation and testing of the system is being monitored by the Cheboygan County Health Department as well as the Department of Environmental Quality for the State of Michigan. 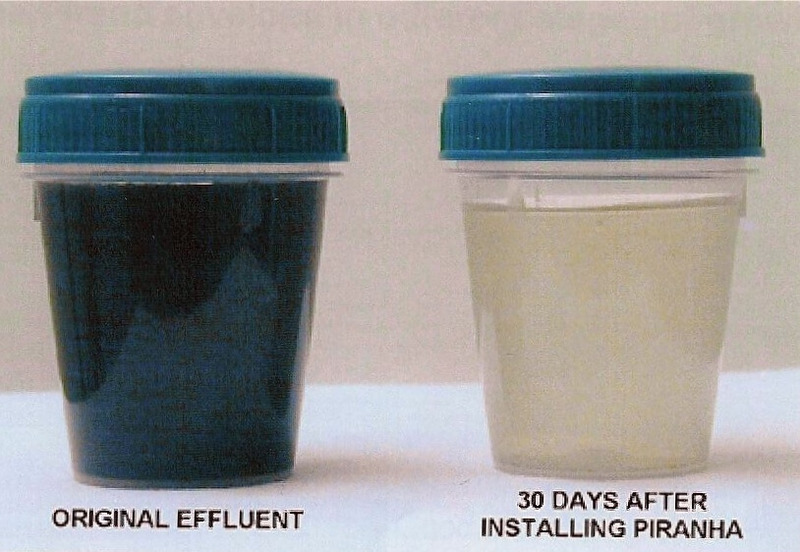 This system combines the process of aeration along with the use of beneficial bacteria in order to literally digest sewage into a state that is so purified that the former wastewater is clear. Our success with this system will pave the way for the use of this technology in the State of Michigan. 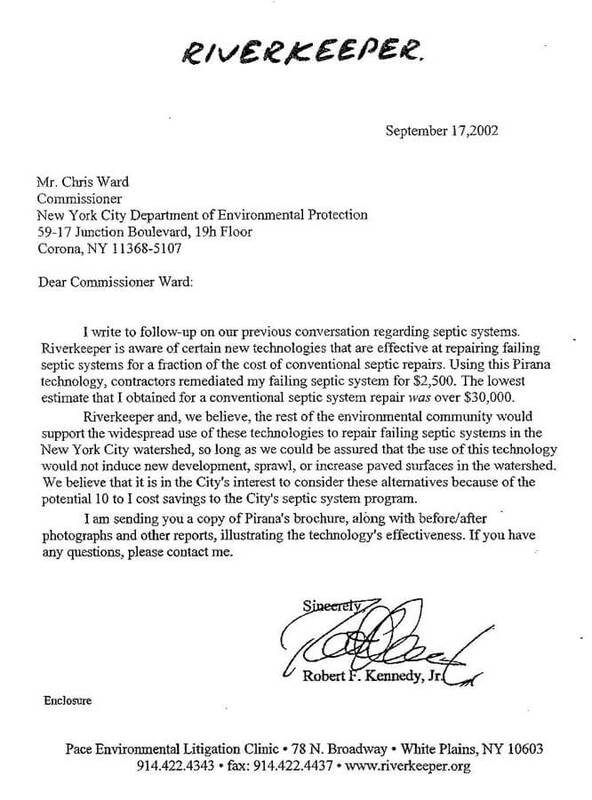 Below you can find a letter by Robert Kennedy Jr. regarding the success in the efficiency of cost of this system as well as photos and drawings. Michigan and our campground's trees are threatened by dozens of invasive insects and fungal infections. The biggest threat to Michigan trees comes from people who move firewood, which is why we ask everyone at the camp's gate to surrender any firewood they may be transporting. We replace this wood, at our expense. Due to the constant threat to our trees, we have begun planting nurseries of new trees and have acquired a large tree planting apparatus in order to facilitate the replacement of sick or diseased trees. For nearly 10 years, billboards, news reports and ads have asked people NOT to move firewood. Irregardless of this, dozens of people try to bring outside firewood into the campground nearly every day. Imagine how many others are transporting these deadly pests all over the state. Please read our Firewood Policy and what the Michigan State DNR has to say: DO NOT Bring Firewood. Visitors to Mackinaw City will notice the two large wind turbines that Mackinaw City has installed. We are also exploring the use of wind-powered electrical generators to generate power for the campground. Wind turbines at Mackinaw Mill Creek Camping would create a clean and renewable energy source by converting kinetic energy from the wind into mechanical energy. Because the wind power from a wind generator consumes no fuel and emits no air pollution, it has much less negative impact on the environment than some other sources of energy, such as fossil fuel power sources, like gasoline and oil. Wind is free, electricity is not. To date, the commercial solutions available are either too costly, or too risky (if the company goes out of business and parts are no longer available, you are left with an expensive dead turbine). A leading contender was the Breezy 5.5 for its simplicity, off the shelf components and dependable design. A how-to book and plans for the Breezy 5.5 can be found here: http://www.prairieturbines.com/ https://www.builditsolar.com/Projects/Wind/TomTurbine/TurbineAssembly.htm. We have determined that the average wind speed in our area is not sufficient enough to optimize the Breezy's capabilities. Even though the Breezy won't work for us, we posted a link to the inventor (above) - in case it might work for you. In the meantime, we are keeping an eye open for new, innovative and practical off-the-shelf solutions. We are looking into the concept idea for creating new campground buildings out of upcycled shipping containers. We are sharing some of our research, visualizations and concepts here for the benefit of others looking into the upcycling or recycling of shipping containers for buildings. Includes shower/toilet building and new building for a new Park Store, Pool Area, Camp Office, Dining Area and Group Rally Room. This "concept only" video depicts a large scale "Fort Themed" structure at the campground that could use shipping containers to house a new centralized Park Store, Pool Area, Camp Office, Dining Area and Group Rally Room. Mackinaw Mill Creek Camping has added nearly 400 permanent fire rings throughout the park. On smaller sites, campers can use "free" reusable fire pans (available at the office or store), or use their own container, so that they can locate their fire where it works best for them. You may want to ask, when you reserve, whether your site has a permanent fire pit or not, depending on your preferences. Many of our new fire-pits are re-purposed stainless steel propane tanks that have been cut and then paired with re-purposed truck wheels. A truck wheel is used for the actual fire area. Concrete is then poured between the wheel and the ring of steel. After the concrete has set, the rings are painted and located on sites. Many of our small full hookup sites have upcycled 50 gallon drums that have been trimmed to make fire containers. These are able to be moved around so that a camper on these small sites can have flexibility in locating their camp fire.